Universal Newsline - Business, Lifestyle, Entertainment : Typhoo’s Tea Drinking Etiquette – the British Way! Typhoo’s Tea Drinking Etiquette – the British Way! Come winters, and come nippy mornings, choicest of food options and insatiate craving for a good ‘n’ warm cup of tea, day long! Winters are perfect to reminders about the quintessential British tradition of ‘Afternoon Tea’ and the raison d'être to rejuvenate the old age tradition by laying out variety of teas for different occasions of the day, beyond the traditional Indian Chai. 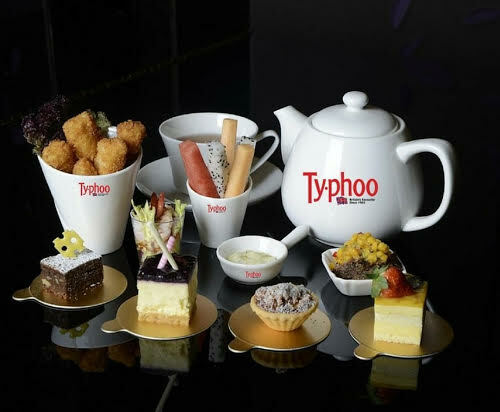 Typhoo- the British tea brand, known for its gourmet and wide variety of revitalizing brews, brings together the finest etiquettes of tea drinking as per British standards. Idea it to take one back to the pages of Jane Austen’s Pride & Prejudice where in the table décor and the settings of cups and saucers, tea pots, tea cozies and the three tiered cake stands with sumptuous hors d'oeuvre ’, all look picture perfect! · A good cup of tea tastes better when served right. So, to make your afternoon tea seem as sumptuous as its flavor, a perfect table layout makes a huge difference. · An ideal tea setting consists of a teapot, cups and saucers (ideally ceramic), a creamer for milk along with a bowl of sugar anda tea strainer. Another important element for the elegant British tea setting is a Tea Cosy which helps to keep your favorite tea warm for long. · The ideal way to keep the flavor and aroma of tea intact is by infusing tea in a ceramic pot. But, before infusing one must make sure that the pot is rinsed properly with hot water. · Once, the tea is infused the concoction can be poured in a separate cup, where sugar or milk can be added. · Suiting to the cold weather, a strong cup of tea will make your tea drinking experience more pleasurable. · You can choose from a variety of flavors like Earl Grey, English Breakfast, Assam Tea, Darjeeling tea or a classic black tea. · If you are among those who like their tea different, you can pick flavors like Chamomile or a Peppermint, they are perfect for the season. · In a British high-tea setup, tea is best accompanied with both sweet and savory. · Usually, finger sandwiches like smoked salmon sandwiches or a cucumber sandwiches, along with scones and tea cakes pairs well with tea.